For a month now, I have had extra pie dough leftover from baking pies for Thanksgiving. I have been thinking of making a dessert that ties my Middle Eastern roots while using this All American product. 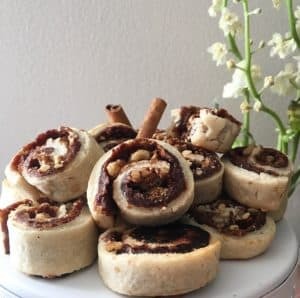 This cookie is a western twist on a classic Arabic date cookie called Maamoul which is often served around the holidays for everyone to enjoy. Honestly, leftovers have never tasted this good! 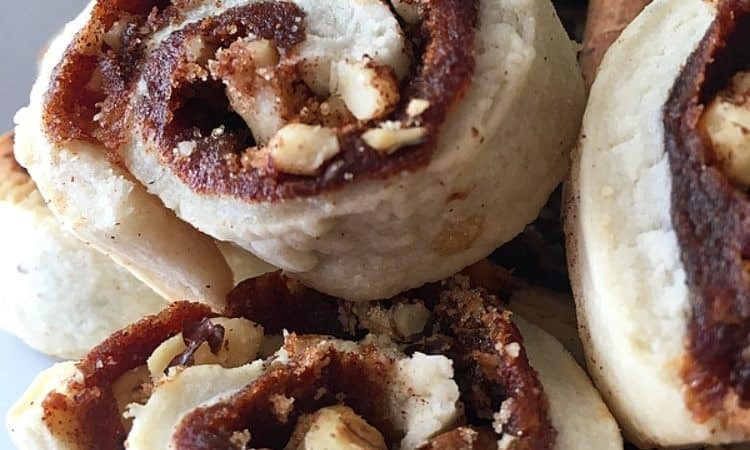 Every bite you take of this cookie is filled with soft buttery goodness with a hint of cinnamon and dates that melts in your mouth. A taste that brings me back home and comforts my soul. As a newlywed, who moved several hours away from my family; a cookie that reminds me of my mother and I making date cookies during the holidays means everything to me. 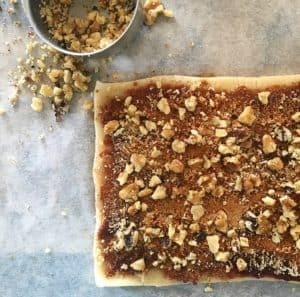 On a floured surface, roll out leftover pie dough to be about 1/8 inch thick and depending on how much dough you have left into an Approx 12 x 8 inch rectangle. Spread about 7 ounces of baking date paste onto the pie dough using a spatula. On top of that spread the brown sugar, chopped walnuts, and cinnamon. 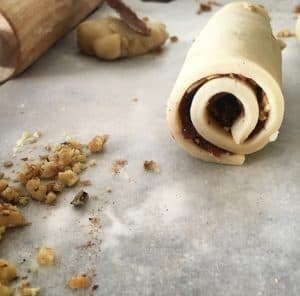 Roll crust until you have a tightly formed log. Then with a sharp knife, slice into 1 inch wide cookies. 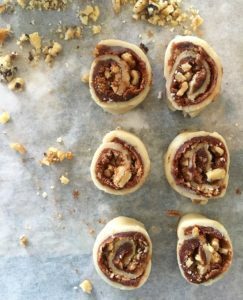 Use melted butter if necessary to seal the ends acting as a glue. Bake for approx. 15 minutes till crust is lightly browned. Set aside and allow to cool. Want to see more? Follow me on social media!